When someone is on the outside of your business looking in, what message is your warehouse sending? You want your business to be inviting to your clients, but you don’t want someone who would do your business harm to see a target of opportunity. A secure warehouse dock means a safer business, safer assets, and — most importantly — safer employees. If you’re a St. Louis area business trying to secure your warehouse, Benco Industrial Equipment is here to help. Securing your warehouse doors and docks drops your chances of theft, accidents, injuries, and shrink. That means a safer workplace, but it has a spillover into other aspects of your business as well. Construction costs can be written off as part of your CODB, while your insurance company is also likely to look favorably upon your efforts and price your policy accordingly. Here are some starting steps. There’s a lot that goes on around your loading dock that contributes to safety and security. That includes barriers — like fencing and bollards — to restrict unwanted access, restraints for trailers (necessary for OSHA compliance), and well-maintained components like dock levelers. Safety goes hand-in-hand with security. Keeping the loading dock area clean and dry helps to prevent slips, falls, and other accidents that could dampen morale and lead to increased workers comp costs. 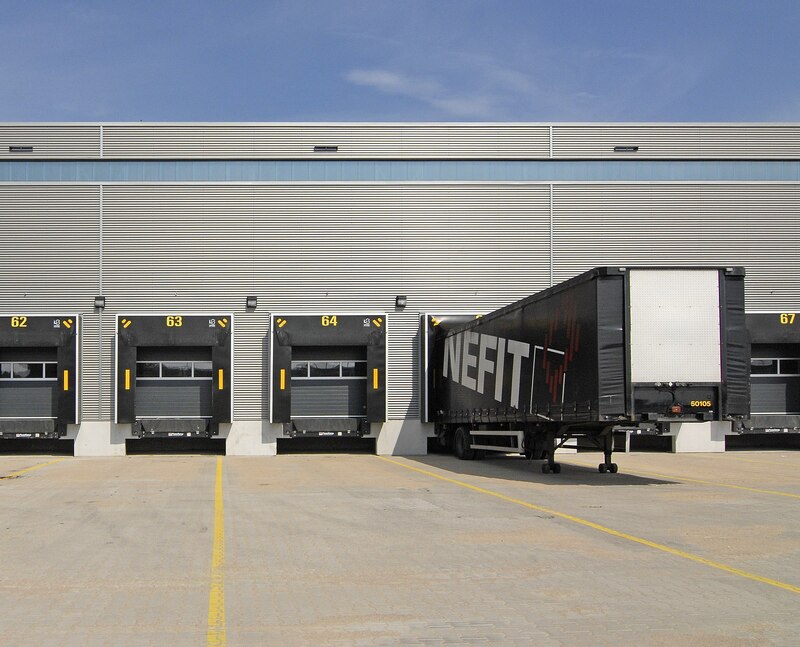 High volume low speed fans, or specially-designed warehouse doors that provide warehouse ventilation aren’t just about keeping cool. They’ll help keep you safe. In the summertime when your dock heats up, you won’t have to keep the doors wide open just to keep your employees from sweltering. Whether it’s OSHA, FAST (Free and Secure Trade Program), or any number of other entities specific to the industry, their guidelines can be a valuable source of intel on securing your premises. Reach out when you have questions — they will often offer assistance, and may even be able to point you toward grants and other resources that make it easier to harden your facility. You can’t be on-site 24/7/365, and not every business has the resources and payroll to hire a security guard to patrol and secure the premises during your off-hours. A bit of well-chosen and properly deployed technology in the form of surveillance, monitored security, and electronic access controls goes a long way toward keeping your dock area secured. It’s not uncommon for SMBs to have their warehouses as part of a larger complex with multiple tenants. This poses certain challenges from a security standpoint, but it also presents an opportunity. Look out for one another. Pool resources and coordinate security plans so that you’re sharing the load. Each business has something it does very well. It’s likely that you know your product, and know more about logistics than most people. However, it’s not uncommon for business owners to have a blind spot around security, so it’s always a good idea to get an assist from outside companies, whether it’s loading dock maintenance or a comprehensive security audit. We know our way around warehouses and loading docks. We proudly install warehouse doors by ThermoMark and Wayne-Dalton, and we’re always on call for warehouse door and dock problems for businesses throughout the St. Louis area. Whether you need sales, maintenance, warehouse design services, or anything else that keeps your warehouse humming along, contact Benco Industrial Equipment today!